This photo was found with (but not in) an envelope containing seven photos of European royals, all but two of which have been positively identified (one of them here by Evargalo). Below is a photo of the back. The card measures approximately 4 inches (10.16cm) by 2.5 inches (6.35cm) while the photo is about 3 inches by 2 inches. Also, '1866' can be seen on the right side of the photo (near the man's left arm). To my (very untutored) eye, the hat looks Turkish. I'm hoping the decorations / medals will enable someone to identify this man, or at least provide some clues as to who he might be. As with the other two photos I've posted questions about here and here, this photo belonged to my Great Grandmother (b. 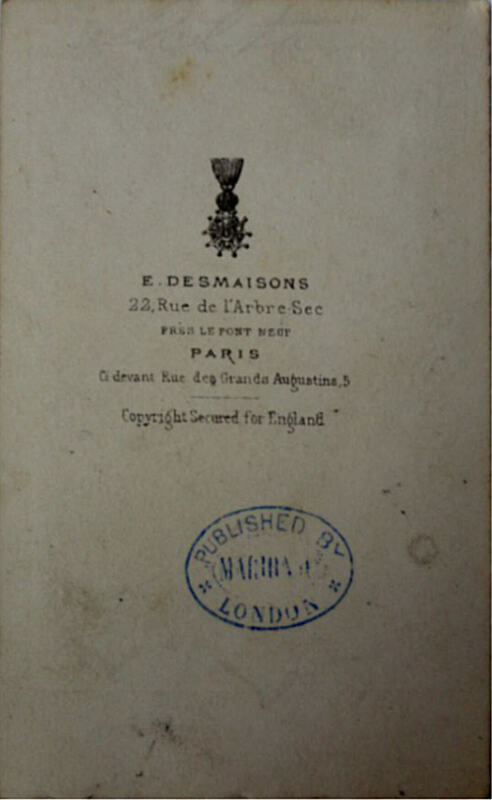 1851). 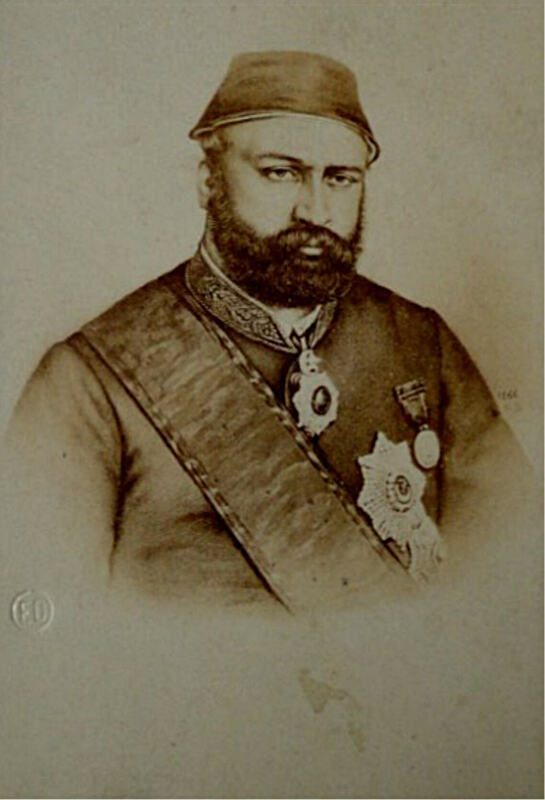 It was originally described to me as a photo of a Maharajah. 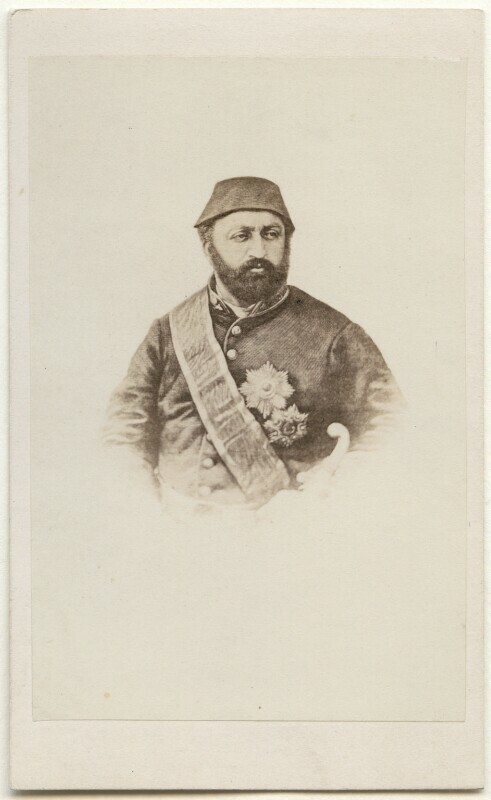 It looks to be a photograph of Abdül Aziz, the 32nd Sultan of the Ottoman Empire. He reigned between 25 June 1861 and 30 May 1876, which fits with the 1866 date. Not the answer you're looking for? Browse other questions tagged 19th-century identification ottoman-empire or ask your own question.